We host a musical treat with Helicon joining us in studio for their annual visit before they play their 30th Annual Winter Solstice Concert! You will hear Ken Kolodner on hammered dulcimer and fiddle, Robin Bullock on guitar, cittern, piano and mandolin, and Chris Norman on wooden flutes, penny whistle, and bagpipes. 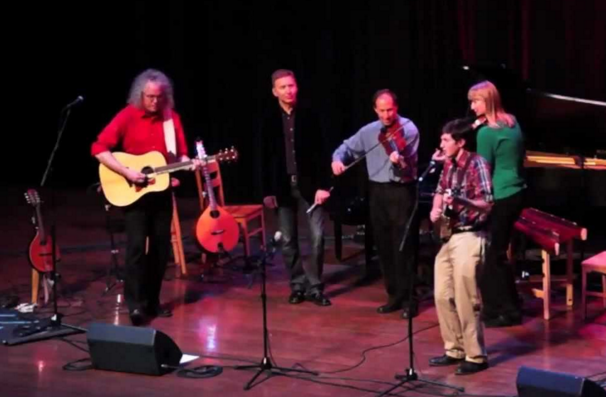 The group was joined by members of Charm City Junction: Brad Kolodner, who plays banjo and fiddle; Alex Lacquement, who plays bass; Patrick Mcavinue, who plays fiddle; and Sean McComisky, who plays accordion.